Observation - Ulva lactuca - UK and Ireland. 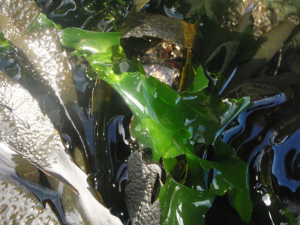 Description: Bright green algae on a rocky shore, mainly in rockpools. Flat, opaque fronds. Bright green algae on a rocky shore, mainly in rockpools. Flat, opaque fronds.